The Sony Xperia XZ2 Premium is the refreshed version of Sony's flagship from earlier this year. It has a similar overall design to the standard XZ2, but with a 4K HDR display and a total of 6GB of RAM. The rest of the specs are similar as well with a Snapdragon 845 chipset, Android Oreo, Qi charging, and no headphone jack with the “Dynamic Vibration System” in place. Detail from both sensors is then processed by the AUBE™ fusion image signal processor in real time, enabling video recording with the highest ISO12800 sensitivity ever in a smartphone as well as ultra sensitive ISO51200 for photos. Its ultra sensitivity with clean, noise-less images was previously only possible in interchangeable lens cameras – with this new addition to the flagship family Xperia brings this advanced technology to the palm of your hand. Pricing for the Xperia XZ2 Premium lands at $999 which, frankly, is pretty ridiculous. 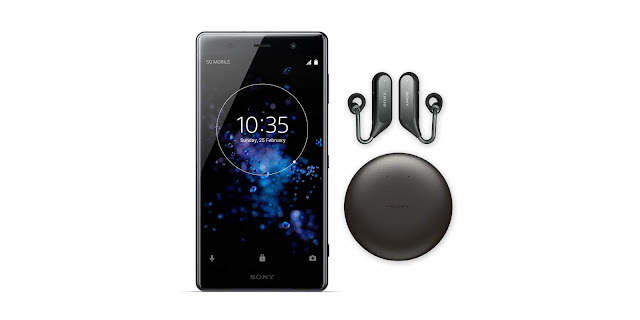 However, with a pre-order on Amazon here in the States, the company is throwing in a pair of its Xperia Ear Duo wireless headphones in for free. That’s a $279 value, and nothing to balk at. This still isn’t the first package we’d recommend for this price point, but it certainly helps turn an overpriced smartphone into something kind of worth looking at.